Getting Here | Tuna Bay Island Resort in Pulau Perhentian, Terengganu, Malaysia. 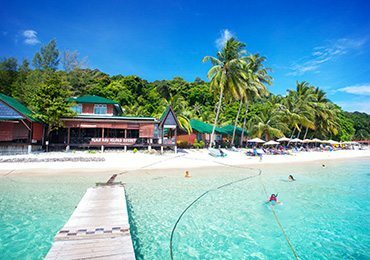 Perhentian Island is accessible from a small fishing town of Kuala Besut, which situated in between Kota Bharu, Kelantan and Kuala Terengganu, Terengganu. Kuala Besut Jetty is the official Jetty to Perhentian Islands. Kuala Besut is easily accessible through KOTA BHARU & KUALA TERENGGANU airport, TANAH MERAH train station and JERTIH bus station. 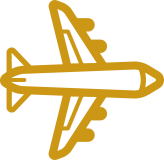 We provides return land transfer service from the airport mention above, please click here for pricing. Train services, with comfortable sleeping berths, are available nightly from Kuala Lumpur, Singapore / Johor Bharu and Jerantut (Taman Negara) to Kelantan, with northbound services terminating at Wakaf Baru and Tumpat. The recommended disembarkation point along this route is Tanah Merah. From Tanah Merah to Kuala Besut take about 45 minutes. We provides return land transfer service from the Tanah Merah Train station, please click here for pricing. Express bus services are available daily from Kuala Lumpur (7 hrs), Johor Bharu (9 hrs) / Singapore (9.5 hrs) and Penang (6 hrs) to Jertih which is the nearest bus terminal to the Kuala Besut Jetty. *Traveling from Jertih to Kuala Besut takes about 15 minutes. Our resort do provides land transfer assistance from the Jertih Bus Station click here for pricing, while taxi service is also easily available from the station to Kuala Besut Jetty. We provides land transfer service from town, airport & station, please click here for pricing. Our Resort also provides land transfer assistant from any hotels in the Kota Bharu town area. Normally the transfer pickup will be at the hotel lobby at 9.00am. The pickup service will connect with the boat that leaves at 10:30am. The Journey from Kota Bharu hotel to the jetty takes about approximately 1 hour. Daily minivan service available directly from Cameron Highlands to Kuala Besut Jetty. The minivan depart at between 8.00am to 10.00am from Cameron Highlangs and arrive at Kuala Besut Jetty between 3.00pm to 4.30pm. Han Travel Sdn. Bhd +603-2031 0899, +6012-674 9208, 016-219 6908, 012-988 2022. Daily minivan service directly from Taman Negara to Kuala Besut Jetty. The minivan depart at between 8am to 10am from Kuala Tahan and arrive at Kuala Besut Jetty between 4.00pm to 4.30pm. Daily minivan service directly from Jerantut to Kuala Besut Jetty. The minivan depart at between 8.00am to 10.00am from Jerantut and arrive at Kuala Besut Jetty between 4.00pm to 4.30pm. 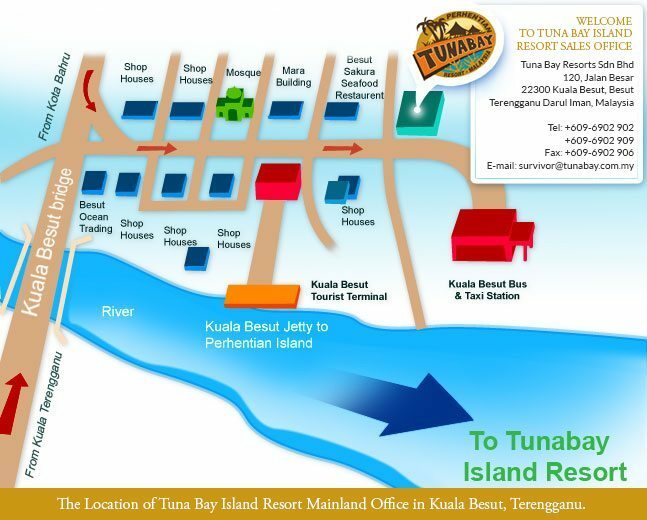 Our Resort Mainland transit office is located in the heart of Kuala Besut town and it’s only less than 5 minutes walking distance to and from the jetty. Our office provides guests with comfortable resting place and places to keep luggage before boarding our boat to the island. View in Google map. We can arrange land transfer service to and from airports, any hotels in Kota Bharu, Train Station and Jertih bus station. Our land transfer will coordinate with our boat service for your comfort and convenience. It is inadvisable to accept transport offers from other operators if your transfer has already been arranged with the resort. This is to avoid unnecessary cost and hassle, as well as irresponsible service from other, possibly unlicensed operators. Please make sure that your boat transfer to the island uses the jetty at KUALA BESUT, and not any other illegal boat jetty. To avoid inconvenience, please arrange the boat transfer and, if required, the land transfer, directly with the resort. The resort management will ensure a smooth, convenient and hassle-free transfer to and from the resort.